In town for the Melbourne International Comedy Festival (MICF), UK comedian Shappi Khorsandi delighted her audience with funny, insightful and poignant tales derived from her own life experiences. Stepping into the curtained Mini Main Town Hall to see Khorsandi ply her trade initially felt intimidating, but after doing her own off-stage introduction and entering dressed in comfy clothes I could imagine pulling out of my own wardrobe, I felt more like I was sharing a chat with a friend than watching a UK ‘big name’ performer on the stage. Khorsandi has been bringing shows to MICF on and off since 2007, and her life has seen a huge number of changes in that time – childbirth, divorce, more childbirth – and brings all of it to bear during a low-key performance that reminds that there is humour to be found in every facet of life. The tale of racist boys at train stations is only one of the stories told about her youth, but topically her experiences as a migrant child in England reminded us all that the personal and political are inherently one. Whilst this may sound quite dark and heavy, Khorsandi has a deft and practiced touch with this sort of material, knowing how to find the amusement in these stories without scaring the audience away. Her gentle, friendly audience interaction was very sweet; with audience members offering to open troublesome water bottles and minding glasses for a stand-up comic who openly admitted her weariness, and shared the reasons for it, without turning the evening into a pity party. Instead, her anecdotes and stories about children, family, love, and lost contacts seemed fresh, plucked from the air particularly for this audience. 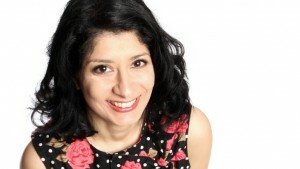 Khorsandi’s show is low-fi, companionable storytelling in its most competent hands. I’d definitely recommend checking her out if you get the chance! Want to know more about Shappi Khorsandi? 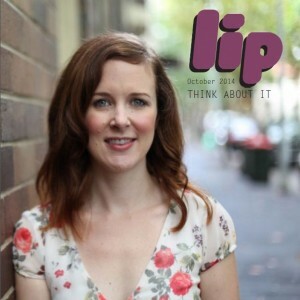 Check out Lip’s Q&A with the lady herself. This entry was posted in Arts, Comedy and tagged comedy, comedy review, melbourne, melbourne international comedy festival, MICF 2014, Shappi Khorsandi. Bookmark the permalink.